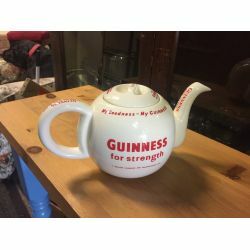 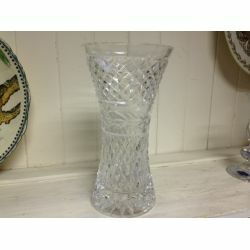 Ceramic & Glassware There are 48 products. 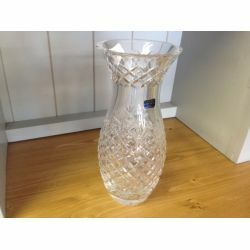 Handcut Crystal Vase Neat sized flower vase in excellent condition. 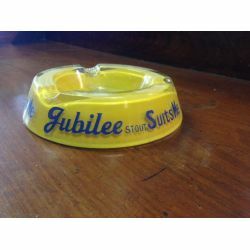 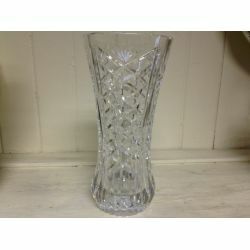 Measures 200 mm high x 120 mm diameter. 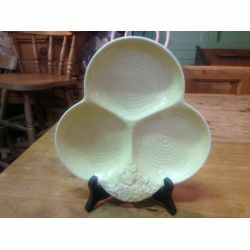 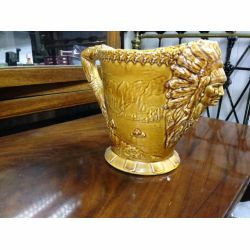 Handpainted Dinner-ware Incompleted assorted quality dinnerware set. 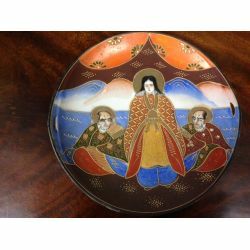 Beautifully handpainted oreintal design. 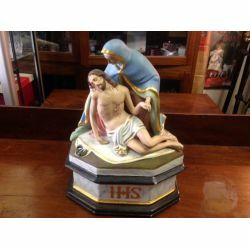 Antique Holy Christian Statute depicting Christ after cruxification. 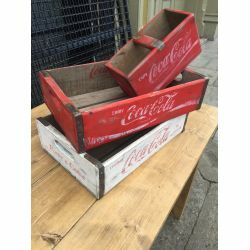 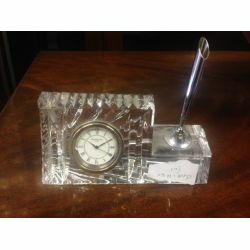 We have three simular statutes in stockMeasures 370 mm high x 280 mm wide x 210 mm deep. 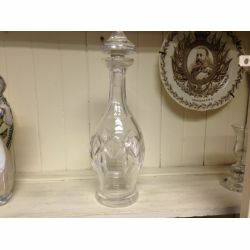 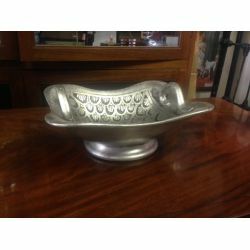 Cut glass Decanter A fine piece of Irish cut glass, while is is not identifable brand mark this represents very good value for a quality piece. 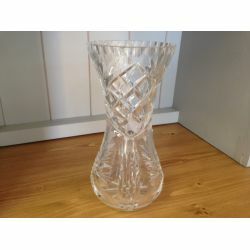 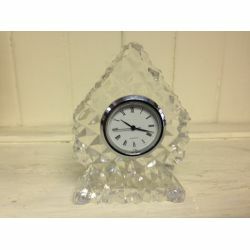 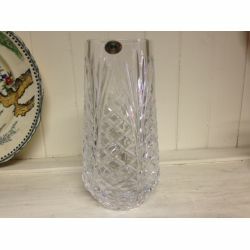 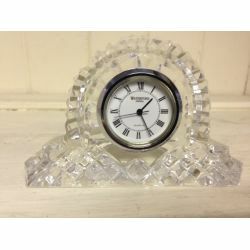 Crystal Flower Vase.A very fine example of Waterford Crystal. 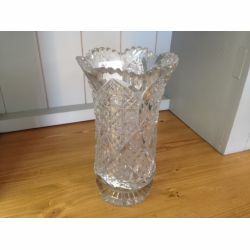 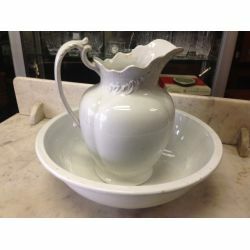 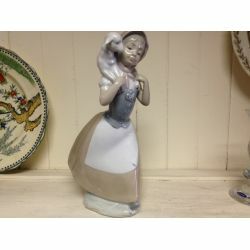 This flower vase is boasts an excellent pedigree and wonderful cuts.It is clearly stamped with brand underneath.Measures 210 mm high x 110 mm diameter. 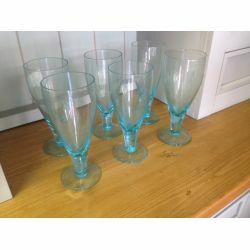 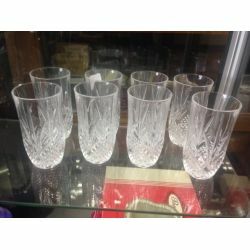 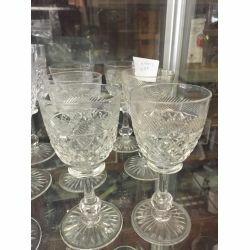 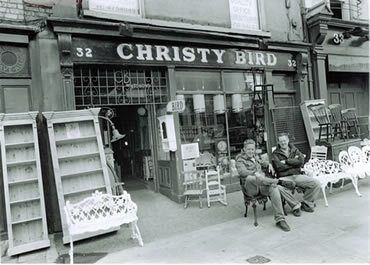 Six Irish Cut Glass Crystal Sherry Glasses. 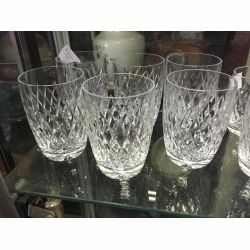 Set of Six Crystal Large Whiskey Glasses.